Slack is a fantastic tool. Not only does it connect thousands of people with their colleagues and professional teams every day, it also houses a myriad of communities that have nothing (or little) to do with the work day. Interest-based Slack servers are becoming more and more popular as the service grows, and if you’re a designer, you should do yourself a favor and sign up for these web design Slack channels. Not only will you get tons of tips and ideas to inspire, but you may also make some friends as a bonus. Any community that has an entrance application deserves a look. Not because it’s exclusive, but because its admins take their mission for community building seriously. Dear Designers has a robust community from all corners of the design world, but it’s gated behind an application that is meant to keep it designers-only. The form you fill out is not hard, nor is it meant to scare you away. It’s used to keep the Slack clear of anonymous commentators who don’t bring anything worthwhile to the channel and its discussions. CodeNewbie was one of the very first Slack channels I joined when I turned from academics to freelance web work. It’s one of the most inclusive online communities out there, and it covers everything from web design to UX design, UI, coding, and everything in between. If you’re a web designer (or developer), and you want to get inspired and meet some good people, there are some downright amazing people spread among this Slack server. A part of Digital Freelancer, #freelance is a slack community for people who, well, freelance. But it’s more than that. As the community has grown, connections have been made, lessons have been learned, and real good has come about. With dedicated channels to design, development, and so on, the focus here is on actual learning and communication and getting better at what you do. Plus, there are jobs shared on there all the time. That’s more than enough reason to hop aboard. Could you ask for a better title for a web design Slack? Absolutely not. And when you get past the name, you will see there’s a fantastic community underneath, too. Maintained by Stamplay, a tech company devoted to APIs and ease of use, these web design Slack channels are full of folks sharing their work, looking for advice, and getting to know each other. No matter what your specialization is, you’re going to find something to design. Maybe even everything. #Launch is what your career will do after you sign up and spend some time in this web design Slack. Well, maybe I shouldn’t say it’s just a web design Slack. Because it’s a lot more than that. I mean, when you get together Y-Combinator founders and similarly high-tier designers and developers together, any community they create isn’t just anything. This is a big one. It’s where designers hang out, after all. With supporting partners like Adobe and O’Reilly, Designer’s Hangout is the big league. Between hosting live Q&A sessions with some of the design industry’s biggest names, having a userbase of over 15k people, and dedicated subchannels for every niche you’d want to work in (plus channels for major cities so people can meet up in person), you really can’t afford not to request an invite. This Slack group is fantastic. At least, from what I hear. Because I don’t identify as a woman, I’m not allowed inside this web design Slack. And that’s okay. That’s what makes it awesome. Women in Technology bills itself as a safe place for women who work in technology, whether that’s programming, graphic design, UX, or pretty much anything else. While there is a long list of rules for the community, those are not punitive — they’re protective. This channel takes its members’ wellbeing and security seriously, and if you are a woman in tech yourself, think about signing up and requesting an invite. Animation is the wave of the future. Not only are traditional animation jobs becoming far more common, everyday websites are starting to utilize animated elements in their design more and more. If you have ever wanted to fall into that niche yourself and tinker around with all the moving parts in design (literally), this is one niche community you’d do well to join. This web design Slack boasts as being the #1 design community, and who am I to argue? With over 6k members and growing daily (a figure which I am sure you are soon to be numbered among), the Designership wants to be your one-stop shop for everything design. Jobs get posted to the chat, and the administrators run contests for cool stuff so that you can show off your skills. The users are active and friendly, and there’s just a good, happy vibe coming from this server. That’s never a bad sign. 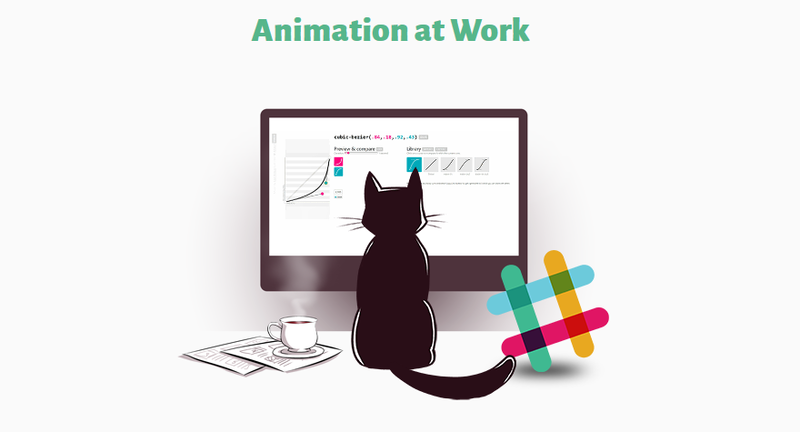 Did you know that WordPress is on Slack? Officially. Much of the discussion about updates and features happens on Slack, with regular team meetings that are open to the public. One of the more important ones is actually the design team because getting good, regular design contributions for open-source software is pretty hard. It’s kind of ingrained in developers and coders to contribute to open-source, but designers are another matter. Good software can’t go anywhere without good design — both in terms of UX and UI. If you want to get involved (or just see what’s involved) with the production of WordPress, join the official slack and check out the design channels. Between some of these, I am willing to wager you’ll find a few new online places to haunt. I know I have. The internet is a wide, wide space and finding the right spots to spend your time in can be hard. Luckily, apps like Slack make it so that we can connect with like-minded people easier than it’s ever been. So make sure you sign up for some of the web design Slack channels above and make some friends, maybe get some new gigs, and probably get some inspiration or experience for future projects. What are your favorite web design Slack channels? Or just Slack channels in general!